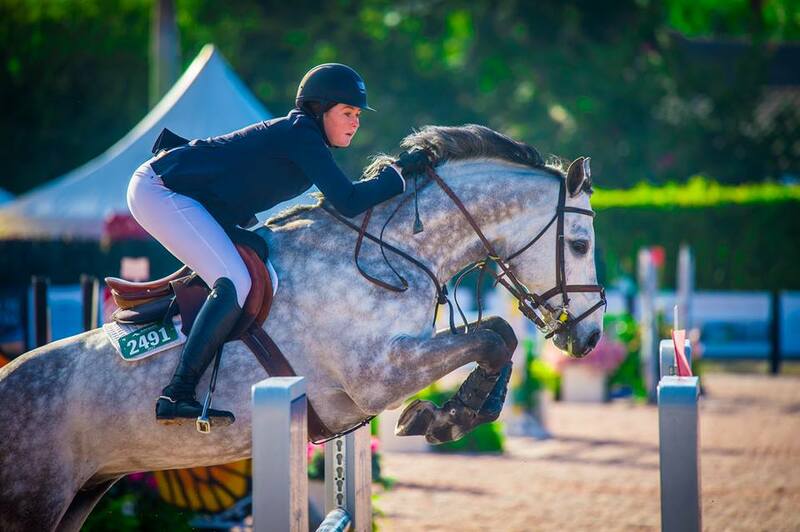 Caitie Hope rode Virginia Bartholomay's Cassanova 30 during the Winter Equestrian Festival. Photo Chicago Equestrian. 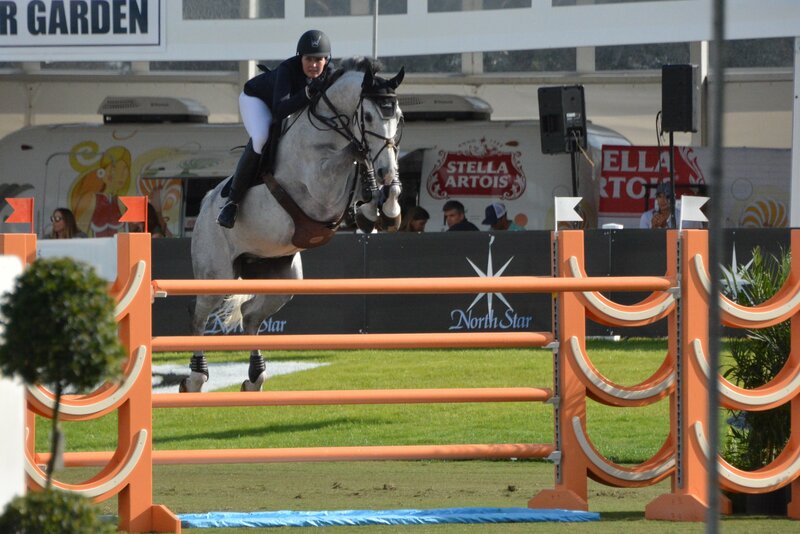 Wellington, FL – February 17, 2017 – Diane Carney/Telluride is a familiar face around the Winter Equestrian Festival, showing up with horses at every ring from the 1.50m jumpers to the .85m and performance hunters to adult hunters, as well as schooling horses at the Palm Beach Masters at Deeridge Farm. 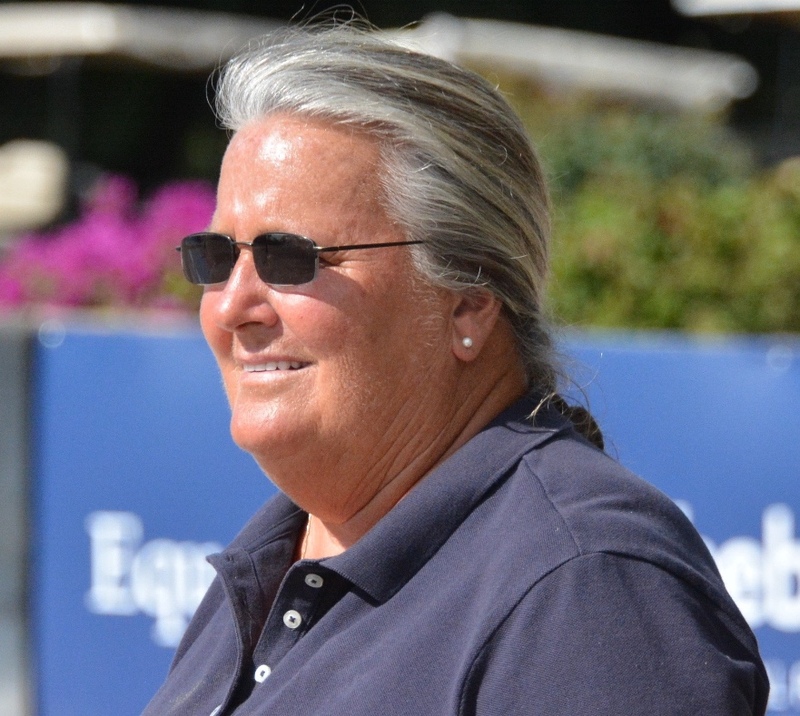 Carney wears many hats these days including USEF R Licensed Official, USHJA Zone 5 committee member, USEF International Jumper Task Force member, clinician, commentator, event organizer and the professional’s choice for expert ground help. Based out of Wellington for the winter, she has been busy judging as well at WEF week 5, The Ridge, and heads to California to judge for two weeks at the end of February. Carney’s customers joined up for two weeks of showing at WEF. Customer Debbie Kirsch had her first experience at WEF and a good one it was. 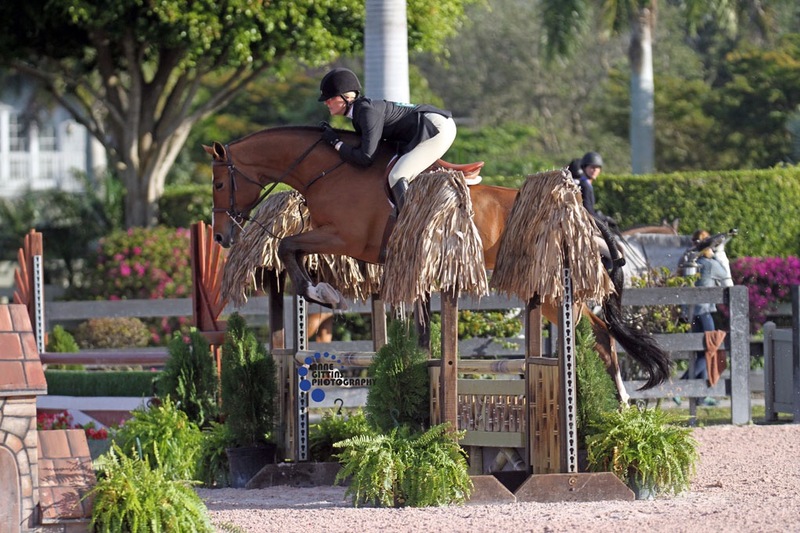 Richard Rinehart piloted her Naples Bay to the Reserve Championship in the USHJA 3’ Hunters during WEF 3. 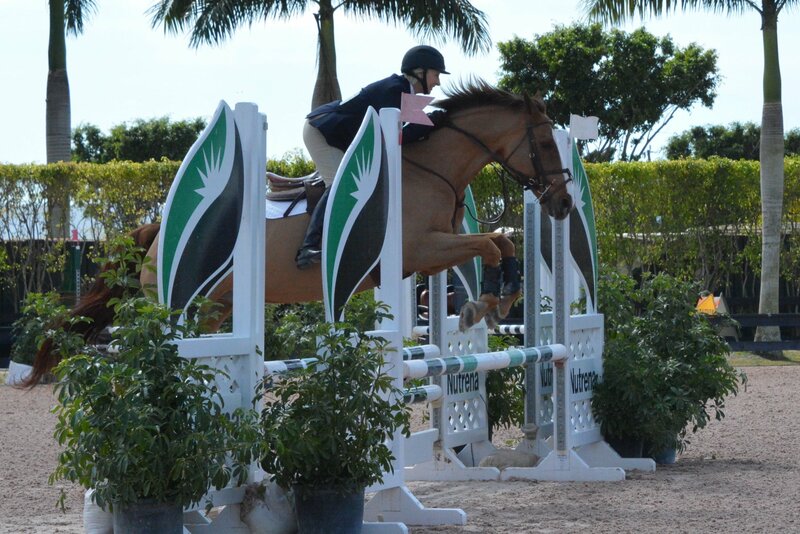 Hunter Holloway catch rode Naples Bay to a third in the 3’3” Performance Hunters. When it was Kirsch’s turn, she earned consistent ribbons in the Adult Hunter division during WEF 3 and 4, including a third place with a score of 85. 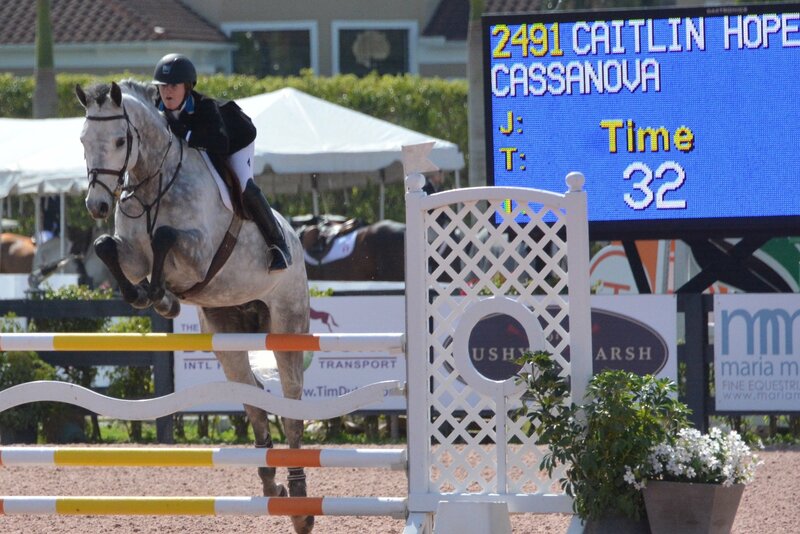 Caitie Hope, a Telluride customer since her pony days, returns as an Amateur rider to show Virginia Bartholomay’s Cassanova 30 in the 1.15m and Adult jumpers. Hope and Hunter Holloway catch rode the 9 year-old import to earn a top ribbons in the 1.15m Classic (Hope) and Holloway in the 1.30m jumpers. Bartholomay rode her seasoned mount, Naturel, in the .85m and low adult jumpers, earning blue ribbons and top ribbons each week. Bartholomay owns several grand prix horses that Carney manages, Cassonova 30, who will compete in the FEI at Live Oak International, and Donnalaris, who will show in the Grand Prix at Fox Lea Farm. Telluride clients will return to Florida in March for two weeks at HITS Ocala. Carney is based in Antioch, Illinois at Rush and Carl Weeden’s beautiful Annali-Brookwood Farm, home of the CP Chicago Hunter Derby. Carney has organized the George Morris Chicago Clinic for over thirty years with the Weeden’s graciously hosting the clinic again in November of 2017. Carney also has Morris scheduled for a special natural obstacle clinic session in June at Annali-Brookwood Farm, for a group of riders participating in a tour at Spruce Meadows following the clinic. Carney plans to attend the new HITS Balmoral Park series this summer, with clients staying in the Schererville, Indiana area. For more information on any of the clinics or services available, contact Diane Carney at 847-922-6167 or email at dtelluride@aol.com. Visit her website for schedule and dates at www.telluridefarm.com.